The Master of Science in Software Engineering is a 30-40.5 credit program (depending on prior academic preparation) that is ideal for students building on their undergraduate degree or working professionals looking to advance their careers. 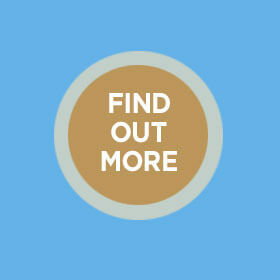 Our innovative program will provide you with the skills you need to succeed in a remarkable range of careers. 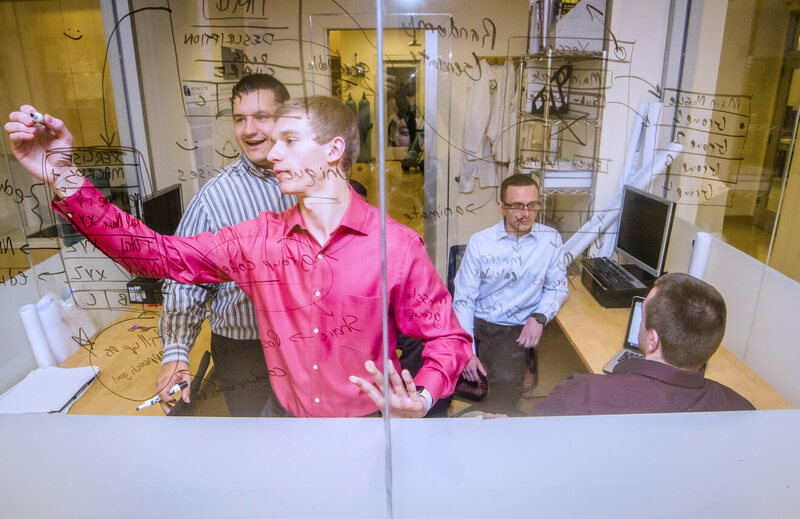 Monmouth’s proximity to one of the country’s richest concentration of high-tech companies will enrich your experience through mentoring programs, internships, practicums, and employment opportunities. You’ll excel at project development and management and improve business decision making. You’ll learn in small classes that allow for ample individual attention from faculty members who are recognized experts in the field. Plus, build skills necessary to be a successful team contributor in all aspects of software development such as requirements, design, testing, maintenance, process, project management, and interface design. Our program offers thesis or non-thesis tracks with an advanced level track for students with a BSSE degree. Choose from our regular or advanced master’s in software engineering tracks involving a thesis or team practicum project, or our 18-credit Certificate in Software Development. 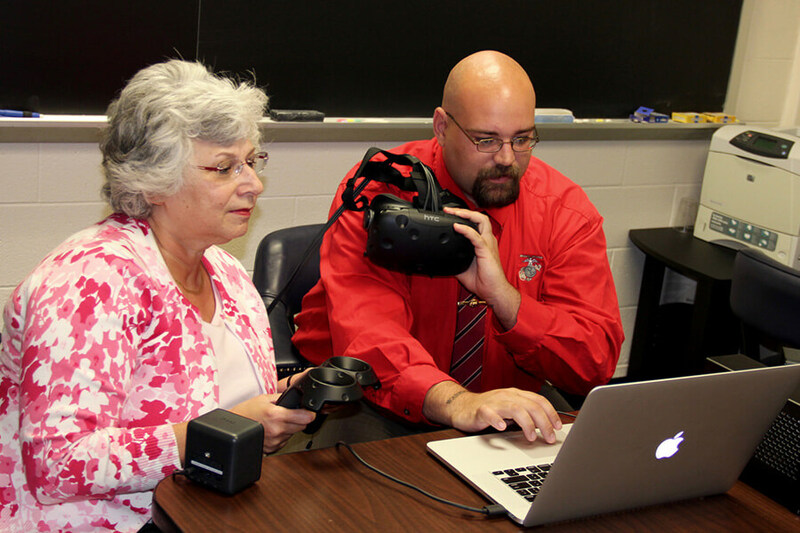 Software Engineering student Will Jones demonstrates his work on a new Virtual Reality system to Department Chair Jamie Kretsch. Students at Monmouth are encouraged to explore and incorporate new technologies into their studies and share their experiences with faculty, peers and employers. The MSSE is an applied program that brings together the fields of computer science, applied mathematics, management science, and software engineering. Students can pursue the program on a full-time or part-time basis. 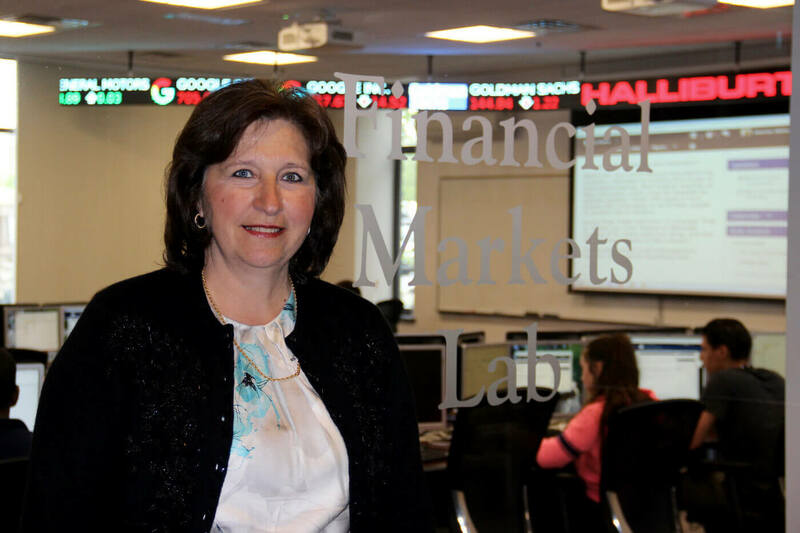 Associate Professor Daniela Rosca recently presented at the International Conference on Software Engineering and Knowledge Engineering the results of her research together with graduate student Veera Tadikonda on the application of big data analysis to financial systems. They aim to extend their research to other domains of application, such as healthcare or retail industry. Dr. Jay Wang and his students are working on a project that controls the flight of drones through hand gestures. 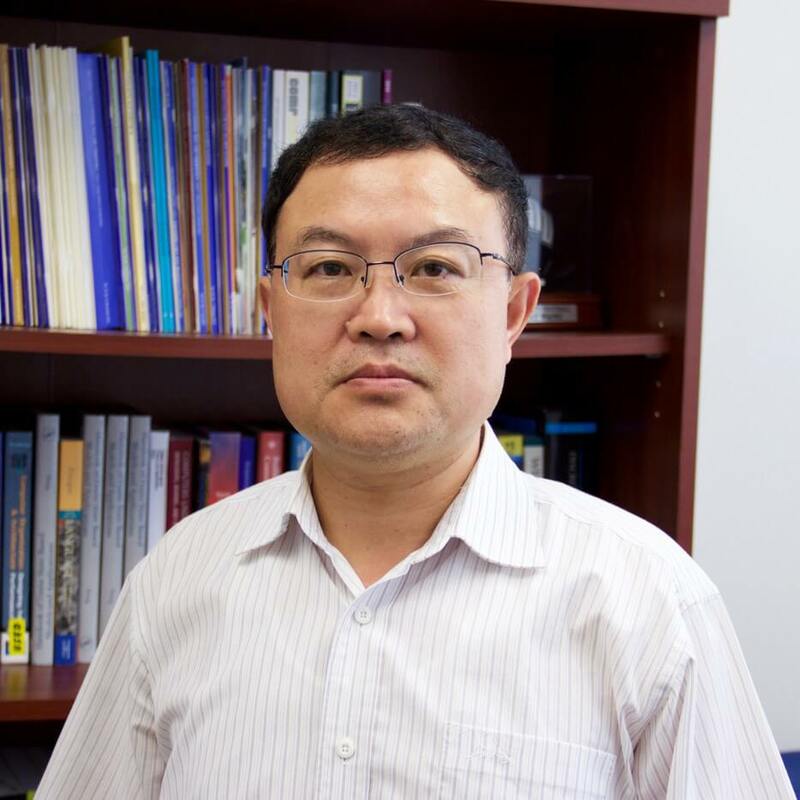 Since he joined Monmouth University in 2004, Dr. Wang has supervised many students in their extra-curricular research activities. The practical and applied training you receive through collaborations with our industry partners will put you in high demand by companies ranging from small, local software firms to large multinational companies. Possession of a baccalaureate degree in software engineering, computer science, computer engineering, or another engineering related discipline with a minimum 2.75 overall GPA and a minimum 3.0 GPA in the undergraduate major. Candidates whose major is not computer science or a related field may be admitted on a case-by-case basis. Demonstrate completed course work in computer programming, data structures and algorithms, and software engineering. Applicants who have not completed course work in these areas will be required to complete the preparatory/foundation courses as necessary. Thesis track students must hold a bachelor’s degree in software engineering from a college or university accredited by its regional accrediting agency. See MS in Software Engineering requirements. My experience at Monmouth University has been very exciting. The courses I attended were highly interactive which gave me an opportunity to discuss real usecases and master the concepts. It added a new perspective and fortified my thoughts on project execution. Faculties were always ready to share their knowledge and extend their support. Their Industry experience helped me correlate academics and business world. In addition to the strength of the MS in Software Engineering program, Monmouth University as a whole has so much to offer students coming for other countries to study at our campus.